Does Anyone Really Get Hired From Job Boards? There are few things as exhilarating, frustrating and labor intensive as looking for a job. Not so long ago, people sat at their kitchen table, coffee in hand, reviewing the Help Wanted section in the newspapers and mailing off their resumes. Today, we still have the coffee (or double chai latte if you’re that way inclined) but so many more options exist in terms of where to look for the perfect job. Of course some things never change, and today as in the past there are any number of people who will tell you that nobody gets a job from the Want Ads (or the job boards). The only way to get a job is through networking, ‘they’ say. So, as a job seeker you are left to wonder…is there any point at applying to jobs on job boards? Does anyone really get hired from these postings?Rest assured, the answer is a resounding YES. As a recruiter, these job boards are my most used tools. However, there are some things you should understand as a job seeker that will greatly increase your chances for getting noticed, interviewed and eventually hired from a job posting online. Looks Matter (Your Resume's Looks, That Is). The good news and bad news for recruiters is that when we place postings, we usually get huge volume of resumes in response. This is the number one reason why job seekers are told it’s not a good way to get a job. But remember; the company has a legitimate hiring need and if you have the skills and experience then your only real hurdle is getting the recruiter’s attention. In the ‘old days’ you did this by mailing a very attractively formatted resume on good quality stock paper personally addressed to the hiring manager. This is still the right idea, except you will be likely emailing your resume instead of mailing it. Make sure your resume is the best possible visual representation of your professionalism, attention to detail, computer skills and creativity (if applicable). If I have fifty resumes to go through in fifteen minutes, I absolutely will start with the ones that look professional and attractive. 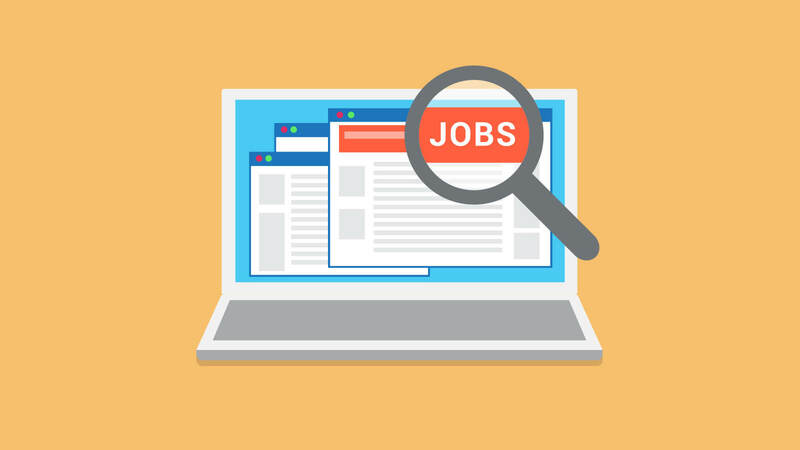 In many instances both the recruiter and the recruiter’s applicant tracking system will scan through resumes more quickly by picking out certain words in your resume that correspond to the job requirements. Think of it like a mini search engine optimization project. If the job calls for a project manager with a PMP certification, experience managing software development teams, and preferably some hands on knowledge with lean processes or Six Sigma certification, and you have all these requirements you are best served by making sure you use the same language as the hiring manager. It’s a good idea to review your resume and tailor it to match the requirements and keywords of the position you want. After all, there’s no way you will be able to put every detail of your career in two pages so it’s simply a matter of including the details that are most relevant to your new job. Some job boards require cover letters and some just make it optional. Make it your personal mission to always include a personalized cover letter that specifically references the needs of the position and how you meet them. Do your best to find out who the hiring manager is so you can address it directly to her/him. I’m surprised at how few people do this and I always give primary consideration to people who send a cover letter. Again, getting a job from a post is all about differentiating yourself. One thing that will do this is if you do some research and drop it into your cover letter. There are countless ways to find out more about the company; utilize various search engines or job information boards to include some information about why you want to work for this particular company. This will get you attention. Who You Know Can Help. “They” are not wrong when they say it’s not what you know it’s who you know. Fortunately, in today’s job search environment, you probably know more people than you think. When you have found a job you are really excited about, it never hurts to check out how you are connected to the company or hiring managers on LinkedIn. This can be a great way to either find out more about the company, or even to broker an introduction. As with any networking, be reciprocal in your approach, and you will be amazed at not only who you will meet, but how many people you are in a position to help in return. So yes, yes, yes! Peruse the job boards. There wouldn’t be so many if they didn’t work. In my experience, I personally fill about 70% of my requisitions through job boards, and I don’t see that changing any time soon. Someone is going to get hired, so change up the odds to make it you!